Paula L. submitted this photo and caption. This picture was taken Sunday, June 26, 2011 in Lisle, Ill. The Cavaliers' horn line was warming up in a cemetery on the Benedictine University campus that contains the grave sites of many priests. This picture was taken during a water break. 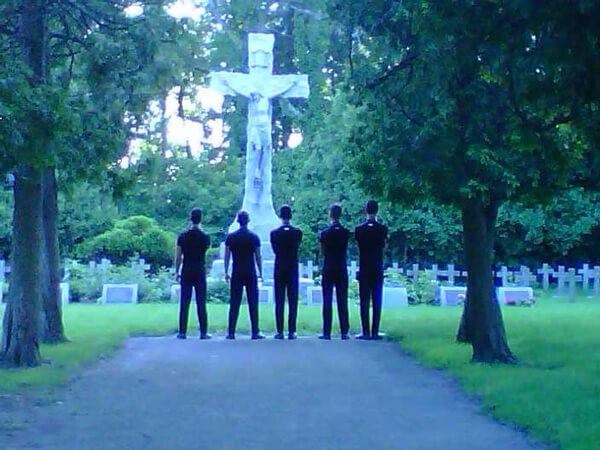 The gentleman looking at the cross are members of the trumpet line. This moment was too great to pass up.